Varly arrested for domestic violence and kidnapping! Good thing the Caps got Forsberg and Ribeiro with the draft picks from that deal. Oh wait. His mugshot has a very Hasslehoff look to it. Supposedly he punched a grandmother, and this whole case involves a girlfriend or ex-girlfriend. As a criminal justice major, I find is hilarious that he's been charged with felony kidnapping, but isn't eligible for bail because of the misdemeanor assault charge. Stupid Colorado, you can post bail for what would be the equivalent of a Class D felony here in NY, but you can't post bail for a petty charge that would net you probation or community service in most states. That notwithstanding, if the charges stick his career is likely over. I don't claim to know anything about Colorado's sentencing practices, but they've historically been a very conservative republican state that's been trending toward liberal over the past few elections. I know the Governor is a liberal democrat, but their Attorney General, John Suthers, is one of those ultra-conservative republicans who likes to prosecute everybody. I'd guess that Varly is looking at the minimum, but he's still going to prison. I heard he's gonna play tonight. Yeah apparently a judge OK'd bail after a hearing, but originally he wasn't eligible for bail because of the assault charge. It's gonna be interesting to see how this plays out, hockey is an interesting sport when it comes to contracts because they're the only professional sport where contracts are guaranteed at the start of the regular season, so it's not like he can just be cut for the arrest. I guess they'll play him until the legal issues are resolved one way or another because they have to pay him regardless. The prosecutor's office still has to decide whether they're actually going to pursue the case. Colorado's kidnapping laws are ridiculous, I think the law is written as "moving by force a person from one location to another against their will" or something similar. 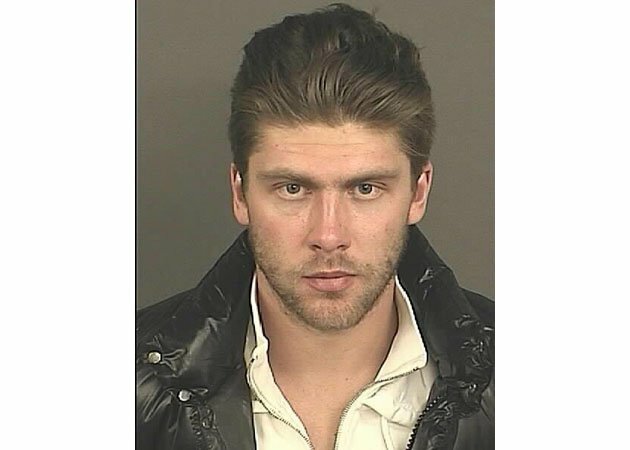 Varlamov could have picked his girlfriend up and put her down on the other side of the street, and he could be charged with "kidnapping" under that interpretation. We'll see what happens. As a long-time Law & Order viewer, based on precedence I will say Varly will have his number retired by the Avs and then become the team's head coach. Hahaha you have a hatred for so many players it's hilarious. Roy might be a of a human, but you can't argue that he's the best goalie in history and has the Avs looking like a hockey team again. You have no idea how much I appreciated Roy and his dirty tricks back when I used to play goalie full time. It was awesome how easy he made cheating as a goalie.